The UTAH House approves HB 353, which would authorize funding to pay for free mass transit on 17 of the Beehive State’s worst air quality days over a three-year period. It moves to the Senate (DESERET NEWS [SALT LAKE CITY]). The NEW MEXICO House approves HB 28, which directs every state agency to develop and implement a climate resiliency and sustainability plan. It moves to the Senate (NEW MEXICO GOVERNOR’S OFFICE). The MARYLAND Senate approves SB 285, a bill that would make the Old Line State the first in the nation to ban businesses that sell food from using “expanded polystyrene food service products.” The measure, which would take effect on July 1, 2020, moves to the House (LEXISNEXIS STATE NET). The WASHINGTON Senate approves SB 5323, a bill that would ban stores from giving out single-use plastic carryout bags, giving them until 2020 to use up existing stocks, and require an 8-cent charge for other bags handed out. 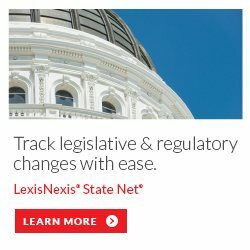 It moves to the House (LEXISNEXIS STATE NET).